Save big while enjoying the quieter November and early December season in Italy when the crowds thin out, the weather is mild and dining on the delights of the season is a daily pleasure. 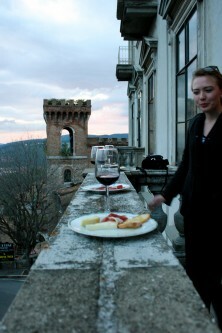 The Italy Perfect Blog provides tips on why this is our favorite time to visit Italy. Fall is a great time to enjoy the many seasonal harvest festivals that take place throughout Tuscany which celebrate the rich tradition of food and wine.